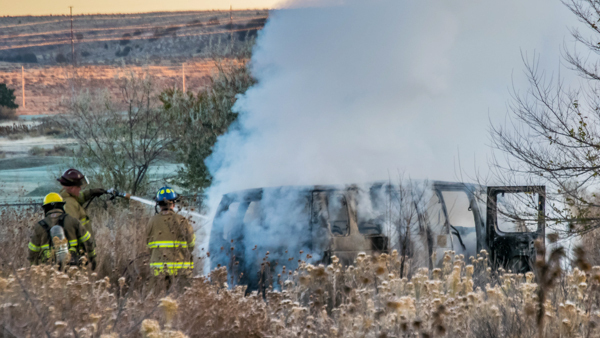 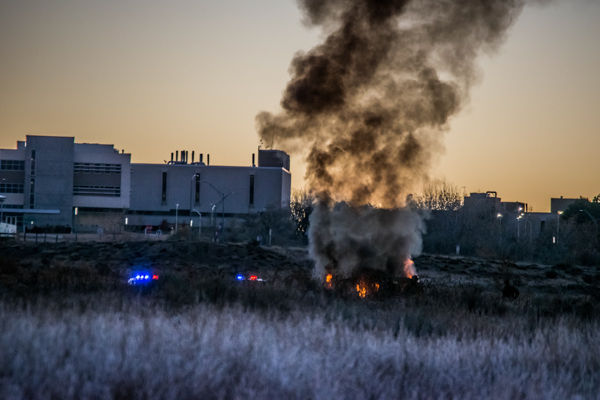 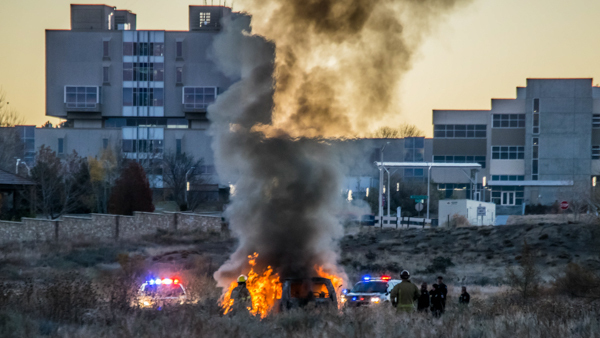 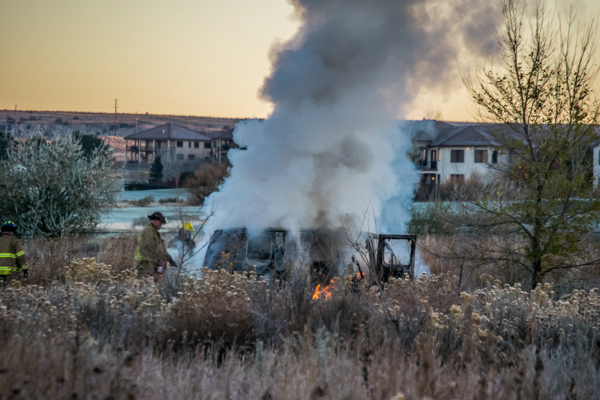 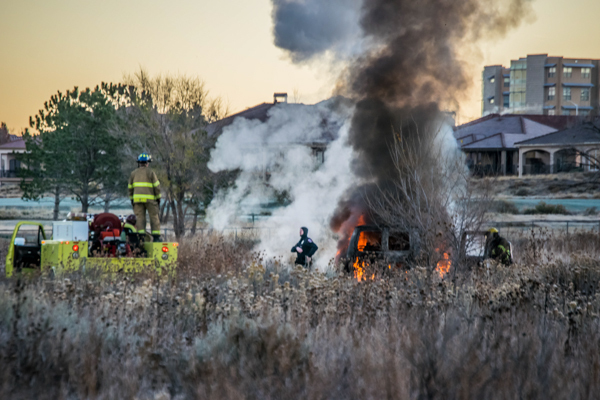 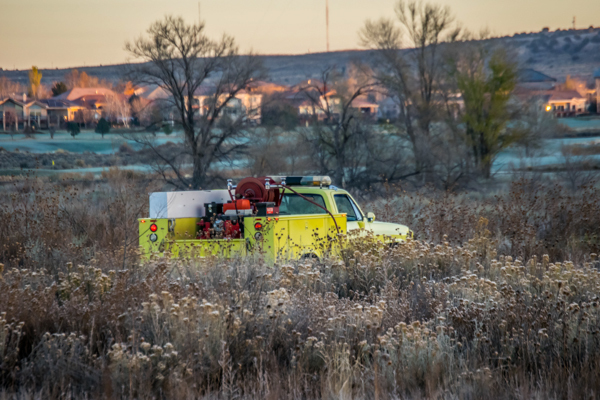 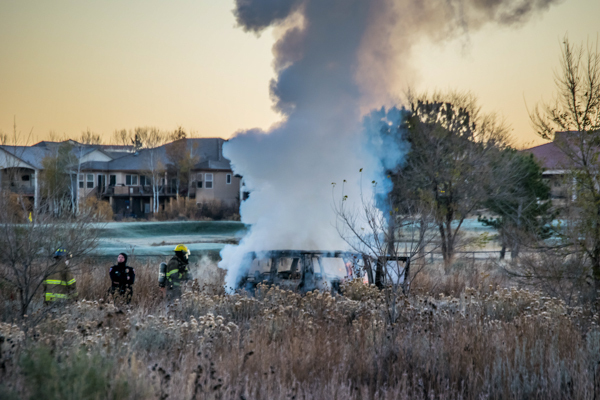 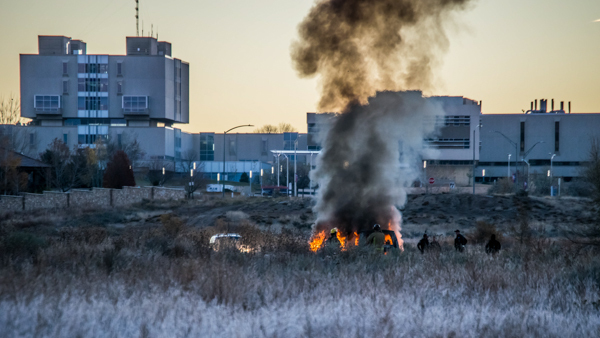 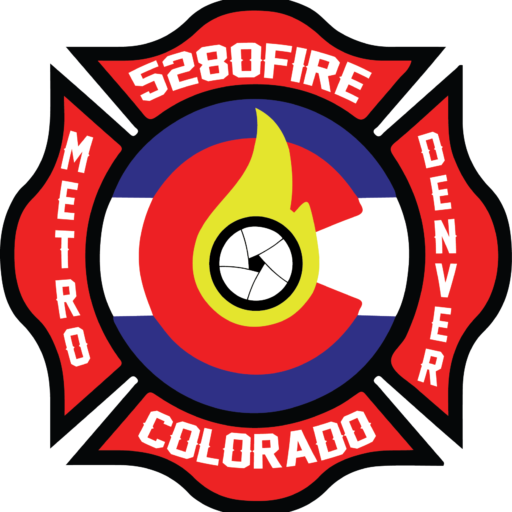 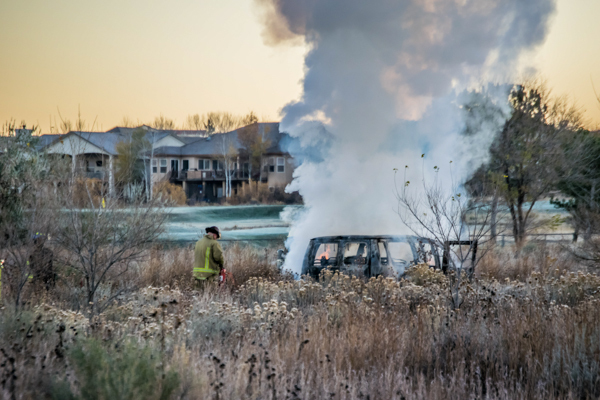 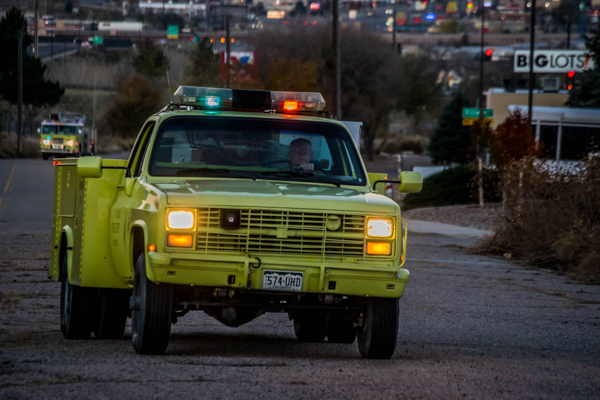 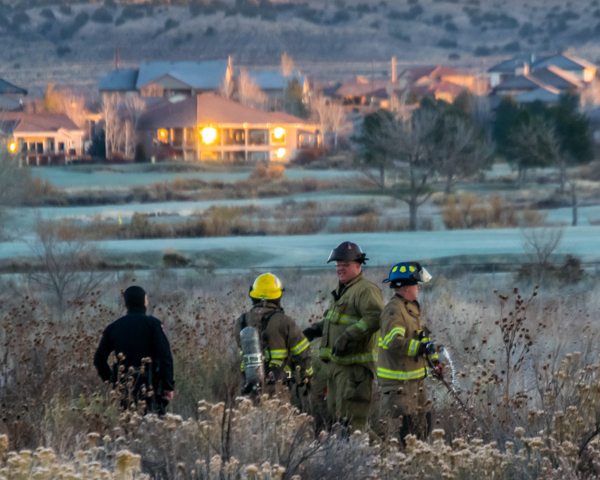 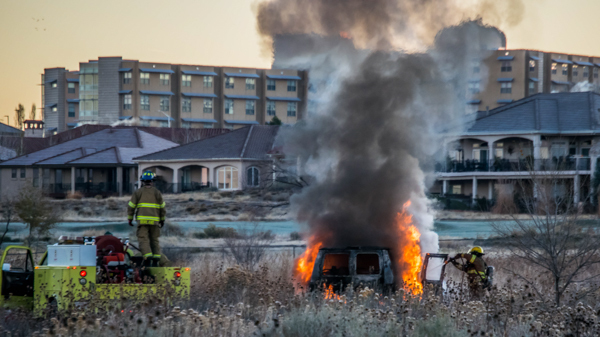 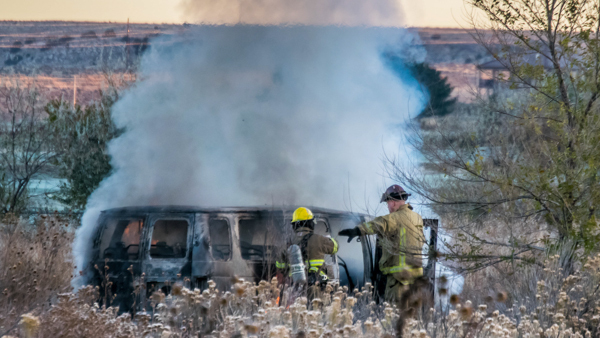 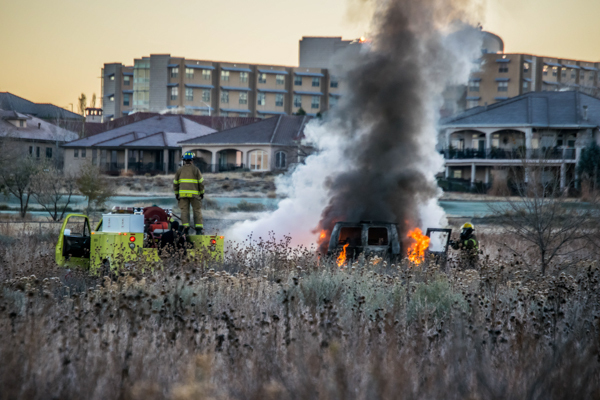 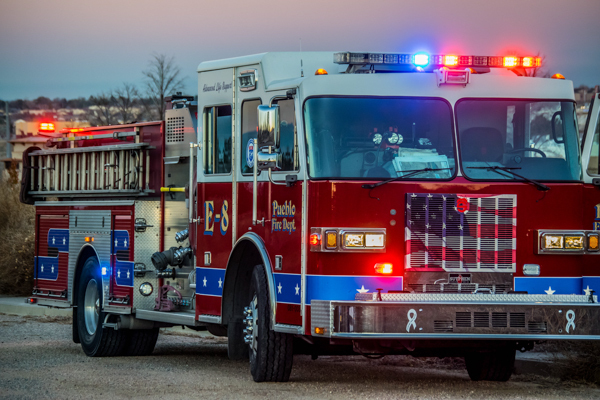 November 12th, 2017 ~ At 06:00 Pueblo Fire Department was dispatched to a car fire near Cesar Chavez and Walking Stick Blvd. 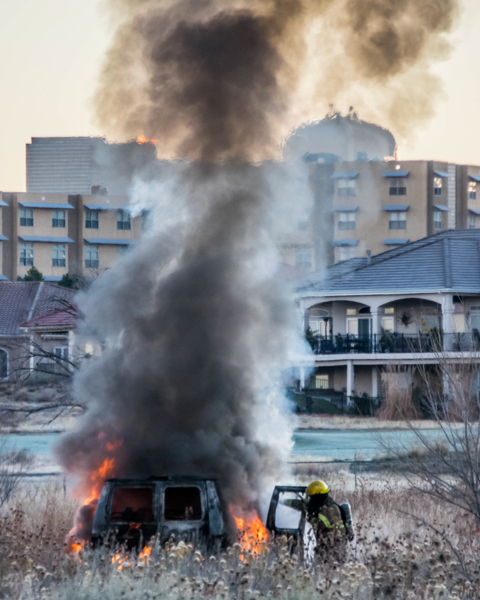 Engine 8 arrived to find a fully involved vehicle fire but could not find access for their pumper. 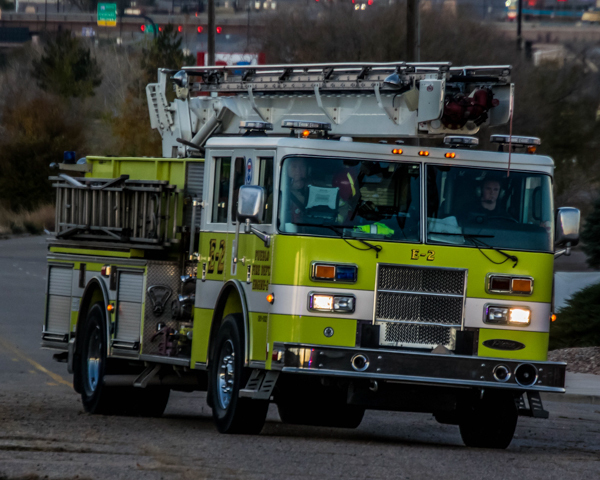 Engine 8 called for Engine 2 to bring Brush 8 to the scene to get access for the fire. 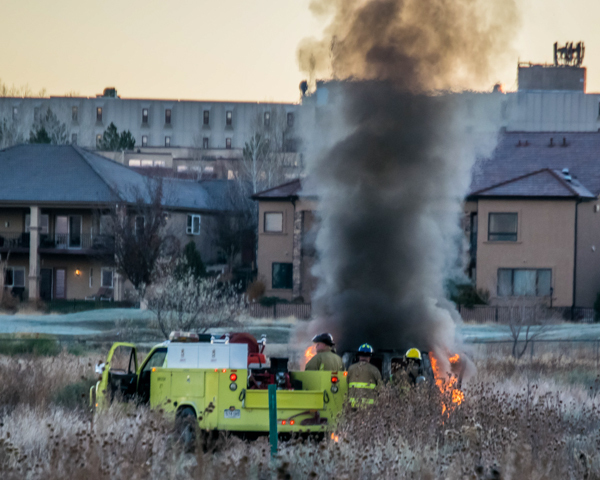 The fire was difficult to get out but they finally got the fire out. 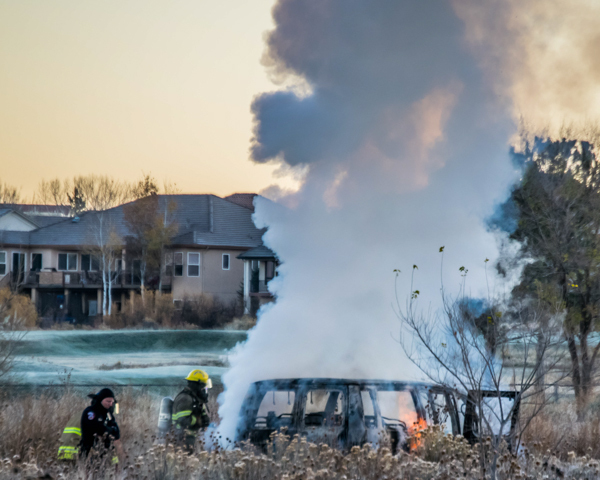 The vehicle is believed to be a stolen vehicle used in an incident overnight. 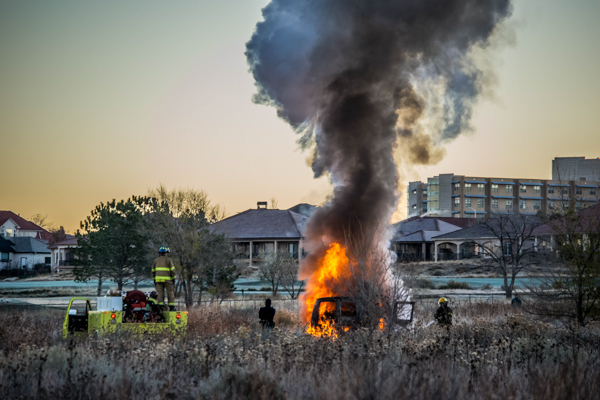 Story & Photos by Dustin Cox. 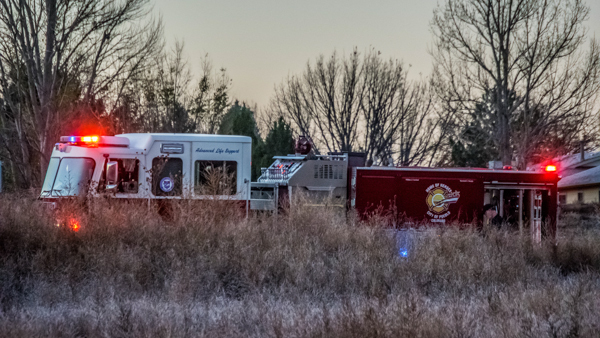 Units on scene: Engine 8, Engine 2, Brush 8, Pueblo Police Department & Pueblo County Sheriff.